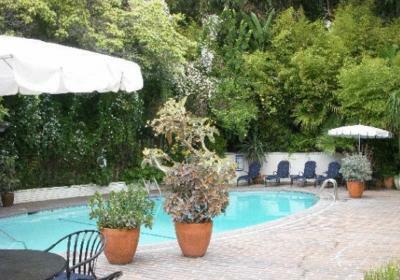 Lock in a great price for Chateau Marmont – rated 8.6 by recent guests! I loved the private and secluded nature of the cottage and the kitchen which really makes it feel like home. The balcony in room 62 was amazing! Our luggage was delivered so fast. Thank you for the champagne and cookies to celebrate my husband’s birthday and our 7 yr anniversary. I love the history, location and overall hotel. The restaurant also does really great breakfast and brunch! You can't help but feel cool here! Think Rear Window,totally appropriate. I LOVED the "old Hollywood" atmosphere, and how they have preserved it. They have maintained it so that you actually feel what it was like back in the glamorous days. Literally ALL of the staff, from front desk, to servers, to room service, to housekeeping were extremely nice and helpful. Some aspects of the cottage I stayed in, here and there, are a little care-worn, so if you want a bright and shiny Hilton, you would be disappointed. 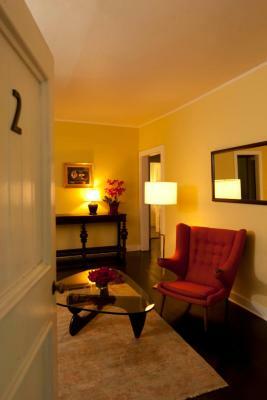 But if you love excellent boutique hotels like I do, this one will definitely tickle you. 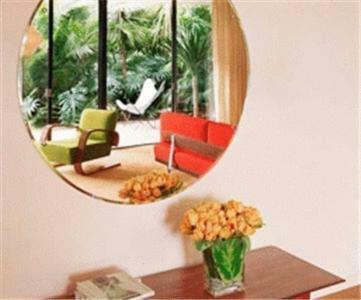 Chateau Marmont This rating is a reflection of how the property compares to the industry standard when it comes to price, facilities and services available. It's based on a self-evaluation by the property. Use this rating to help choose your stay! One of our best sellers in Los Angeles! 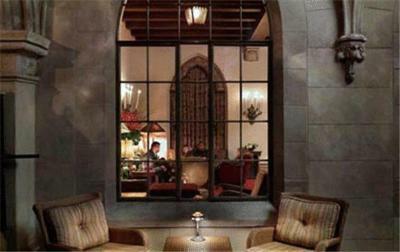 Located in Hollywood, California, this boutique hotel modeled after a castle features a heated outdoor pool surrounded by gardens. 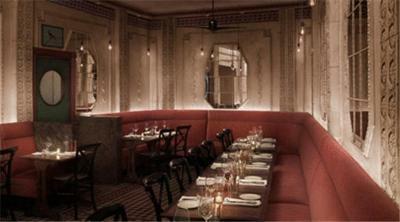 There is an on-site restaurant & bar serving breakfast, lunch, & dinner. 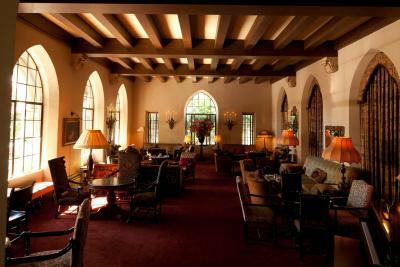 The guest rooms at the Chateau Marmont have 42" flat-screen TVs and are furnished with an iPod docking station, CD and DVD player. 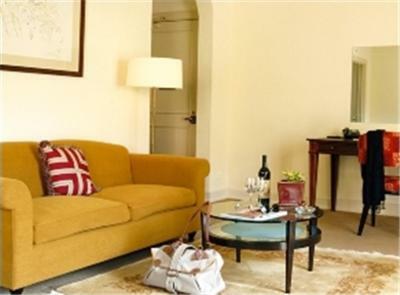 Most rooms provide a view of the surrounding gardens and select suites boast a full kitchen. 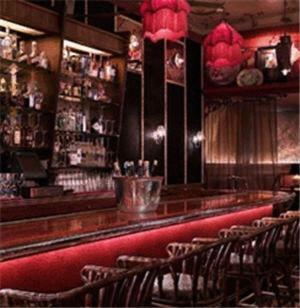 Bar Marmont uses local produce in each dish and also serves drinks and cocktails. Room service is available 24-hours a day. 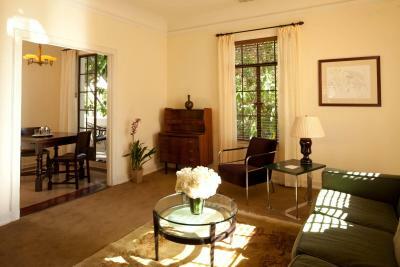 For guest’s convenience, Marmont Chateau features a CD and DVD library. 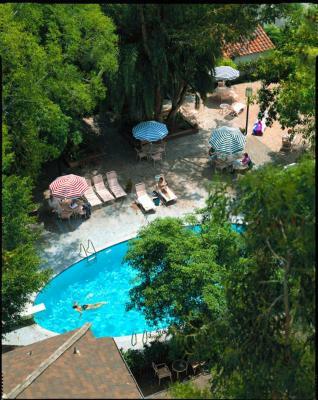 Guests may also use the gym and the hotel can arrange in-room massages. The Hollywood Walk of Fame is 1.9 miles from Chateau Marmont Hotel. Grauman’s Chinese Theater is 1.8 miles away and the hotel is 6.1 miles from Universal Studios. 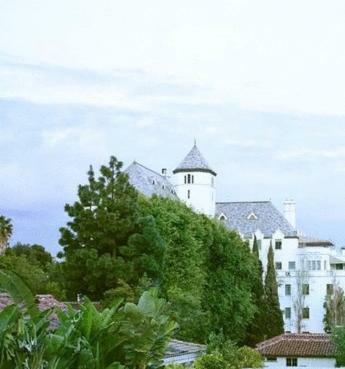 When would you like to stay at Chateau Marmont? 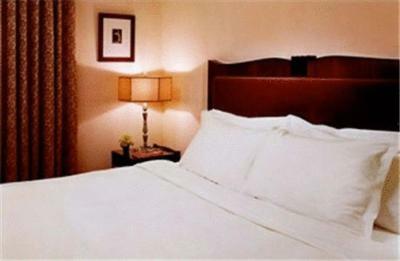 This room offers a 42-inch flat-screen HDTV, an iPod docking station, and maid service. 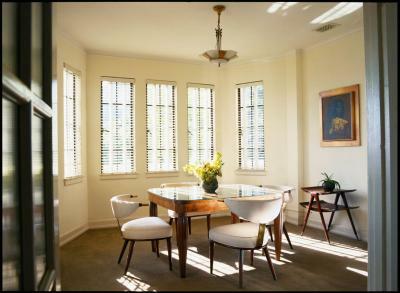 The junior suite offers a living room, full kitchen, and a dining room. A flat-screen HDTV and iPod docking station are also included. 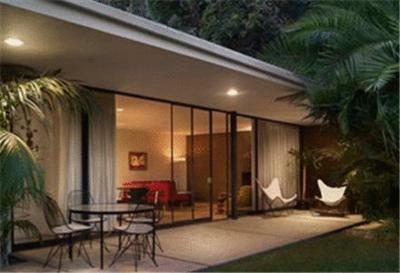 Features hardwood floors, full kitchen, dining area, surrounded by a landscaped courtyard, adjacent to the pool. 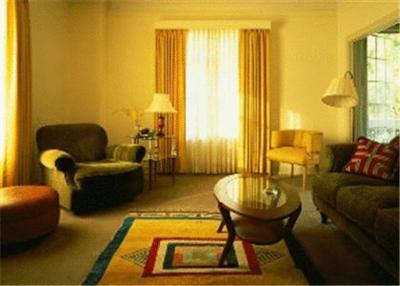 Equipped with a large living room, full kitchen and separate dining room. 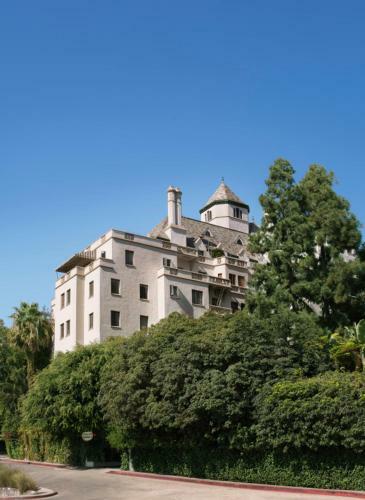 House Rules Chateau Marmont takes special requests – add in the next step! 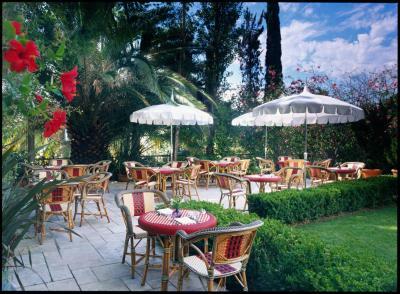 Chateau Marmont accepts these cards and reserves the right to temporarily hold an amount prior to arrival. The hotel will run a pre-authorization of the the full amount of 1 night's room and tax, 48 hours prior to the arrival date. If the pre-payment is not obtained or a valid credit card is not received, the reservation will be subject to cancellation by the hotel. 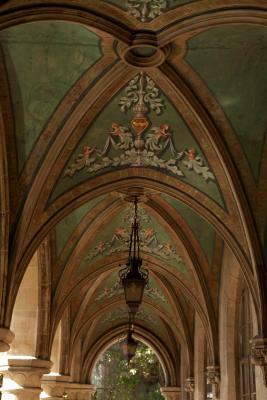 This is an iconic hotel and it is steeped in history which you feel walking in. The bar is great and comfortable with great service. 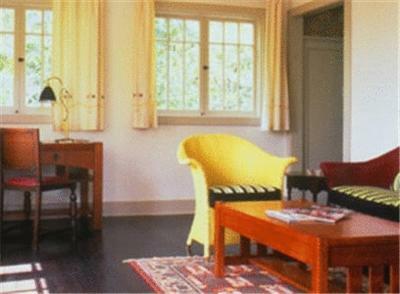 I stayed in a bungalow which was so spacious and quaint. Location of the hotel is so convenient to restaurants and easy to get around to see sights from. I had a wonderful stay! Carpet of room was dirty and smell made it impossible to sleep. Steak and frites was terrible, poor quality of meat. Single pane windows and traffic noise. The bartender off the lounge was rude! When we asked about getting a drink we were told “a. Go to your room and call room service or b. Try to get a drink from the restaurant. Good luck. “ This was at 5:10 on a Saturday and he stated he was not open for making drinks. I said it’s just a glass of wine. To no avail. The bathroom could use some hooks for hanging robes and towels, and perhaps some shelves above the toilet. Another towel rack would be great cause it would make hanging up damp towels easier. 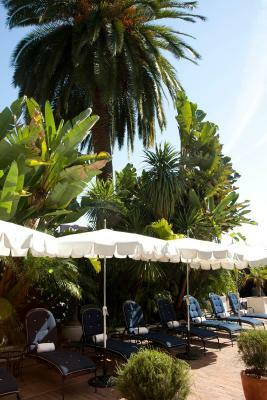 The staff were excellent and we hosted brunch and family dinner in the garden. Both excellent. One constructive critique: The waitstaff must pay better attention to the clients in the restaurant and scan the clients as they walk into the room. Too much standing around chatting w/ each other. Easy to fix. Thank you! THE worst value for the money! old furniture, moldy, old bathrooms, rusty windows that don’t close, untrained, arrogant staff, untidy. in general: desperately needs a make over / renovation and isn’t worth the prices they charge. It could still look vintage AND be clean. its uncool to spend so much money for what you don’t get. we actually moved to another hotel! cool building, interesting history, good location. Nice Lobby, Bar, Restaurant. Pool area nice, good food.